Design details make the difference. Beautiful design elements include: oversize moldings, graceful curves, deep finishes & fine hardware. Solid hardwoods & quality construction. 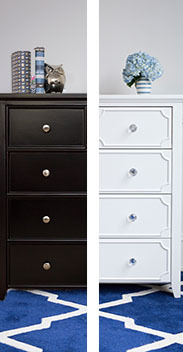 Thick frames and dovetail drawer joints keep Craft solid & sturdy through years of use. Thoroughly safety-tested. 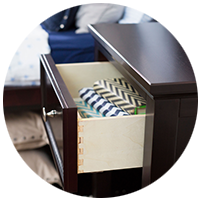 Unexpected features such as secret compartments and pull-out trays are convenient and fun. 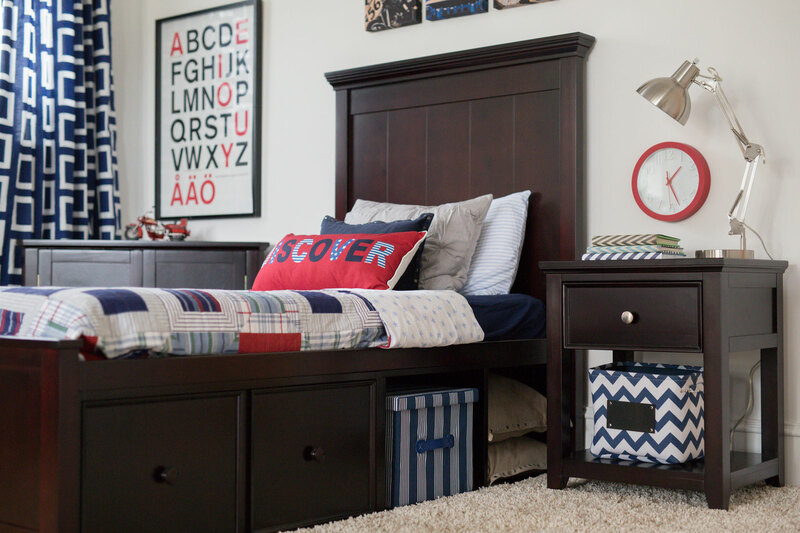 Deep, soft-close dresser drawers and full under bed storage options are particularly practical. Once processed, orders ship from our NC warehouse. Exact transit times vary with delivery location. Freight carrier will contact you to arrange delivery time. We’re here to help and easy to reach. Live Chat, call or email. Case goods ship fully assembled. 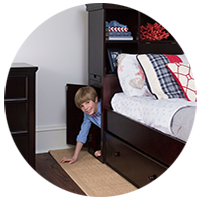 Pick your under bed storage options. Matching furniture & case goods. Decorative crystal knobs & accessories. Clean & clear select hardwoods: Maple, Birch & Aspen. 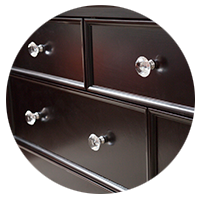 We have made well-crafted, solid wood furniture for over a decade. We make all our products from Birch, Maple & Aspen. We love adding unexpected, useful features and details into our products. From the beauty of curved molding to secret compartments. 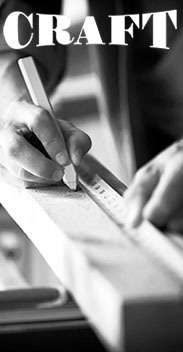 All Craft Furniture is made in our own dedicated factory. We use only high quality materials and conduct regular safety tests. We stand behind our products 100%! Headquartered in beautiful Charleston, SC, where we invent and design new products all the time. Ideas? We'd love to hear from you! Email us anytime. Copyright 2019 © Maxwood Furniture, Inc.